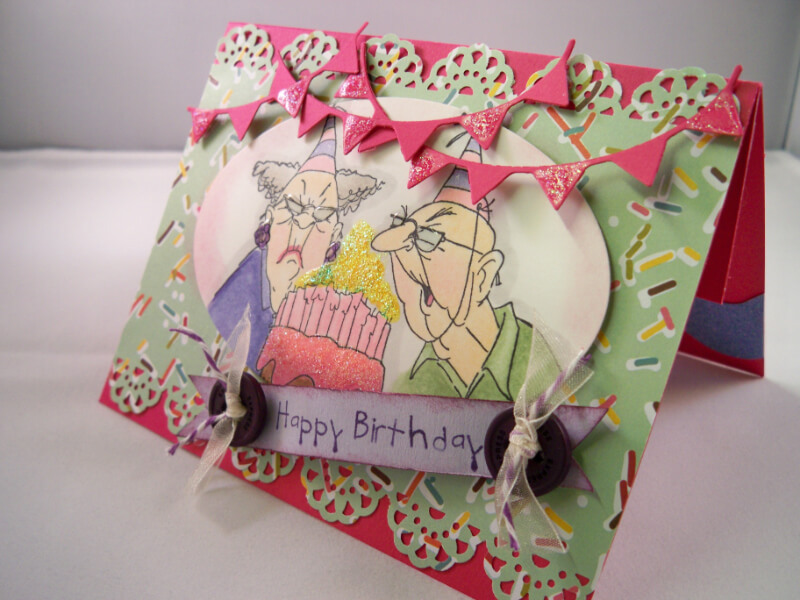 Who doesn’t need a card that can double as a gift card holder too , this challenge was a lot of fun , I do not own the card keepers stamp sets from Ai yet ( but I will one day ) , so I had to challenge myself even further to create a gift card holder using one of their great stamps I own already , today I am using the Birthday Couple ,another great Golden oldies stamp ( you should know by now how much I love these ), how cute are they trying to blow out all those candles .. 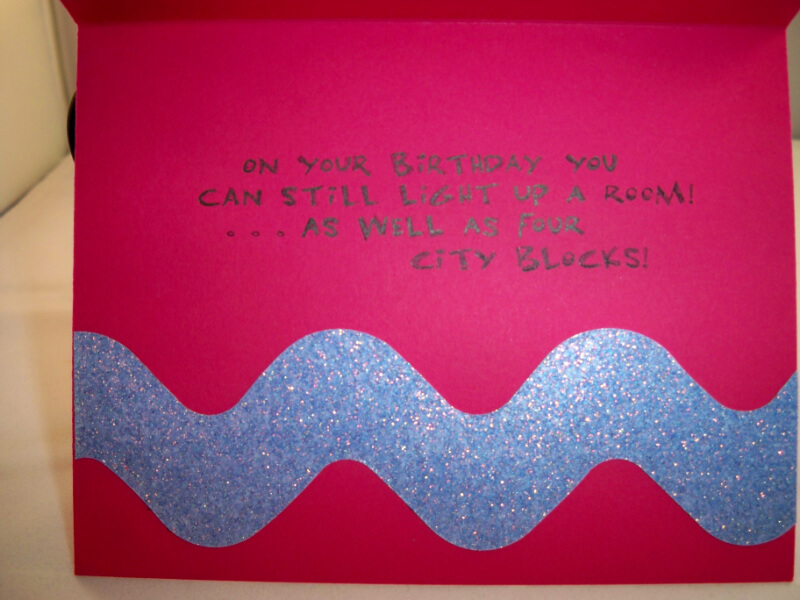 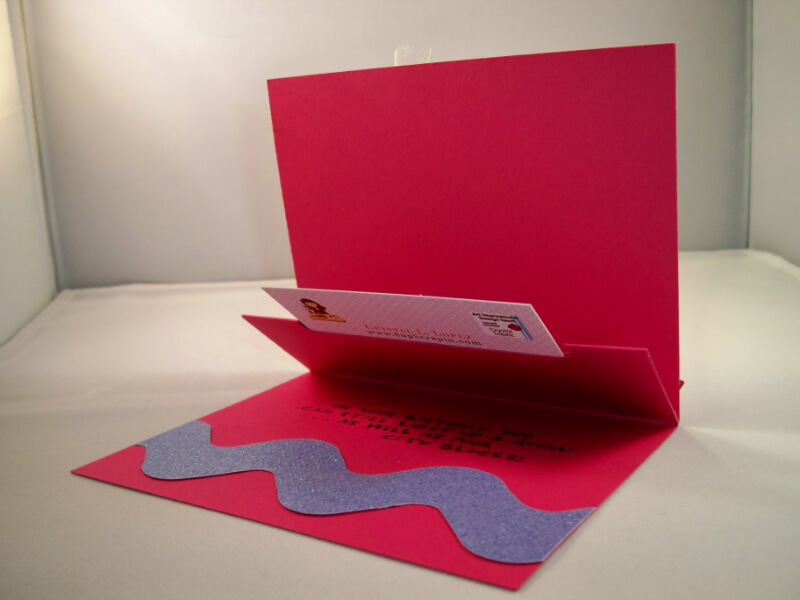 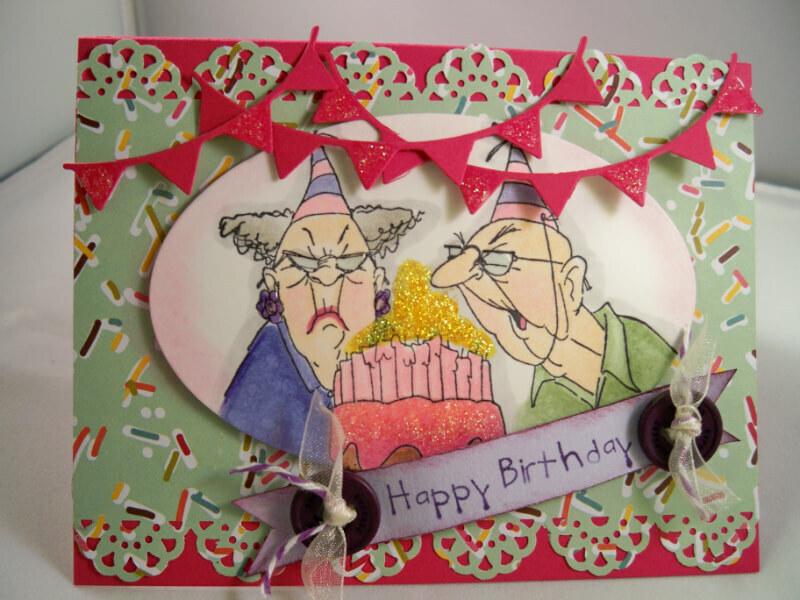 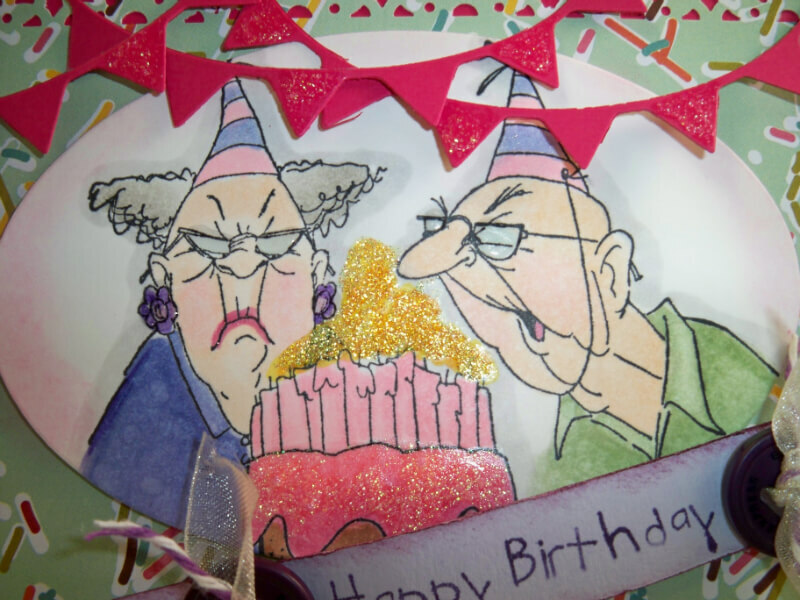 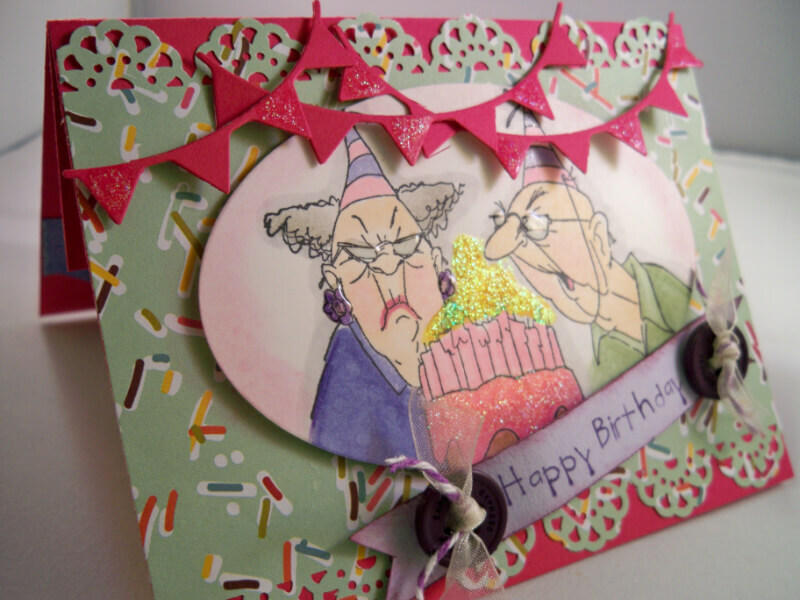 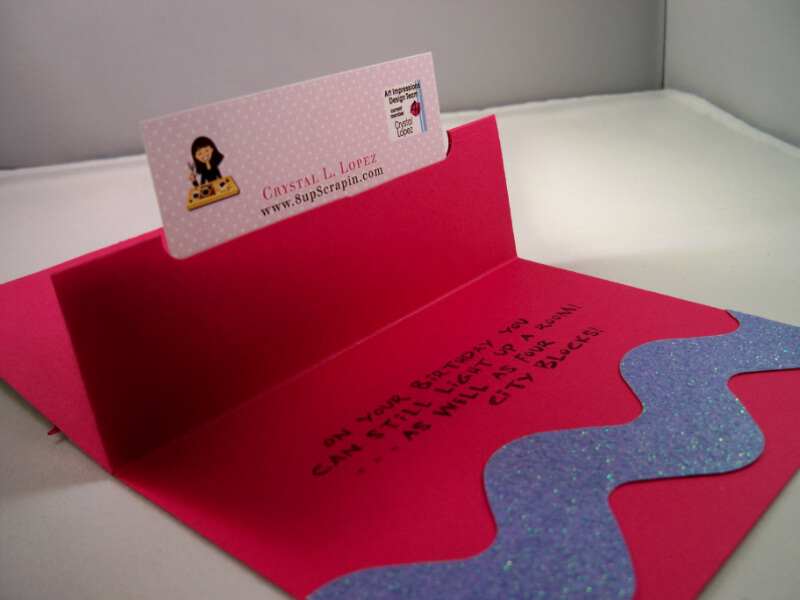 I chose a hot pink card stock for my backdrop to this card and then layered paper with candy sprinkles , added some banners and a Happy Birthday greeting , Tah Dah ..another awesome card I can share with you . 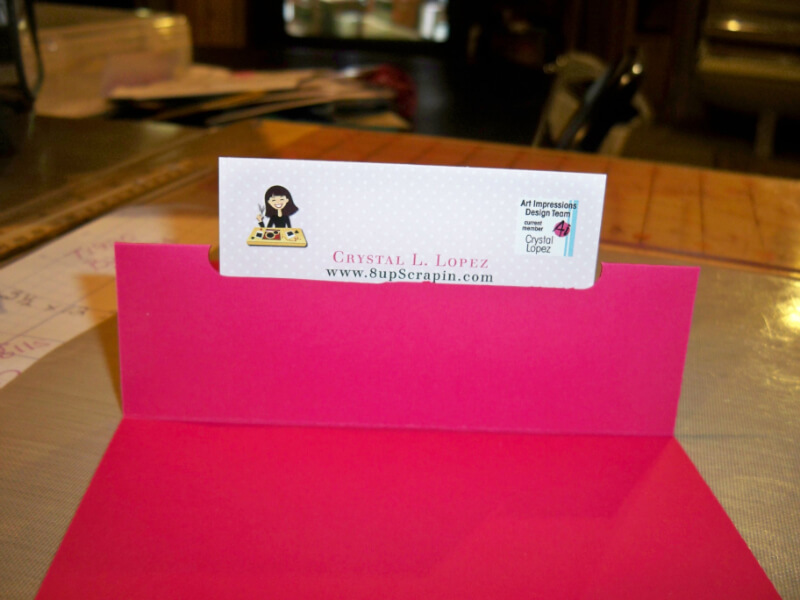 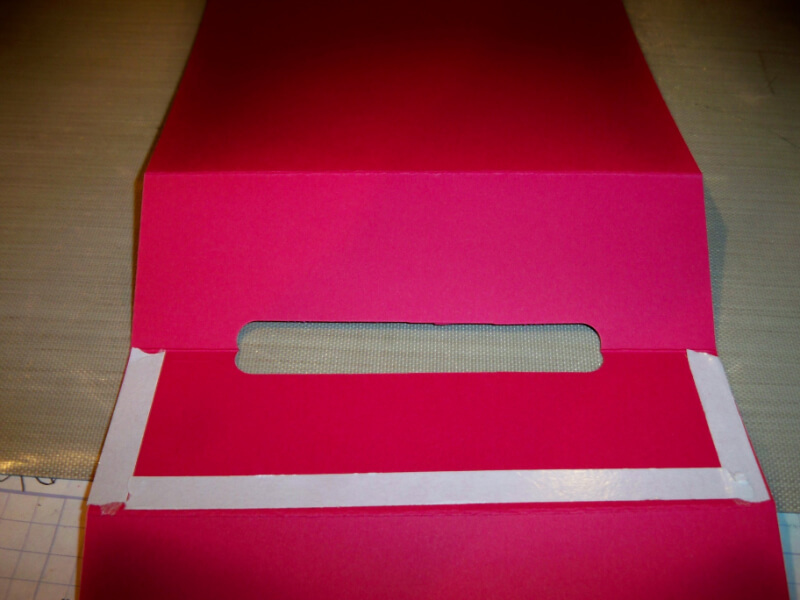 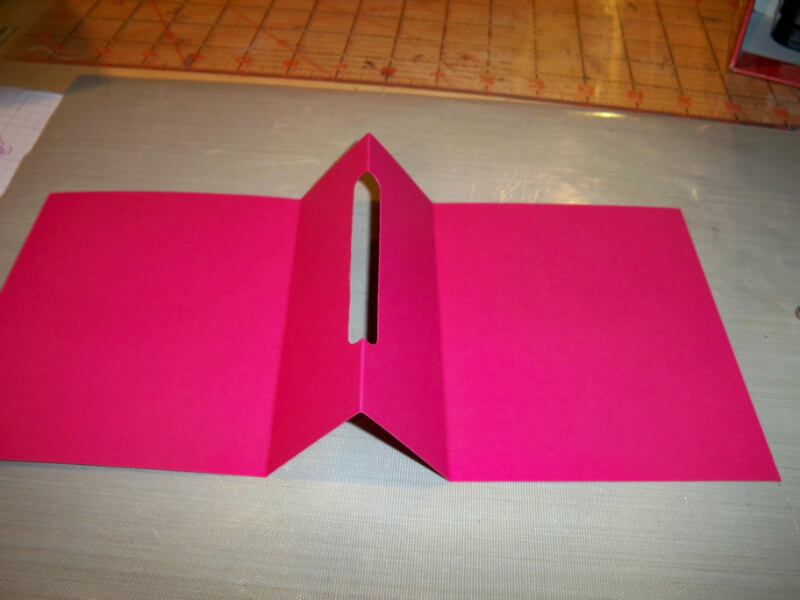 the card base was cut at 51/2″ by 12″ , I scored at 6 ” down the middle then scored 41/4 inch from both ends , added score tape to ( refer to pic ) to create a pocket , T used my SU word window punch to cut out a slit so I can slide my gift card in , I added some glitter trim and a cool Ai sentiment that reads “On your Birthday you can still light up a room … as well as four city blocks ) what fun… I have now created my own humor card that was hand-made with love by me .I hope you run over to the Art Impression Blog and check out the other team members cards and the visit the AI store and get you some of those Golden oldies stamps , and don’t forget to enter your own creative gift card holder into the AI challenge and get a chance to earn free Ai stamps ….